Most of us would jump at the chance to travel the world, exploring as we go on. Unfortunately, we´re held back by our everyday tasks and obligations such as work, laundry and PTA meetings. But with a globe of your own, you can plan, dream and fantasize about future travels at the same time as you attend to your obligations! And the best part is – you can hold the whole world in your hands. The first globes were invented during antiquity and used by astronomers and geographers to study the world. They´re thought to have been created around 150 BC, when they were first mentioned in an ancient manuscript by the Greek geographer Strabo. One of the world's oldes globes. Photo: Washington Map Society. The oldest ones still preserved today do not come from ancient Greece, but are of Arabic origin and date back to the 1000- and 1100 centuries. 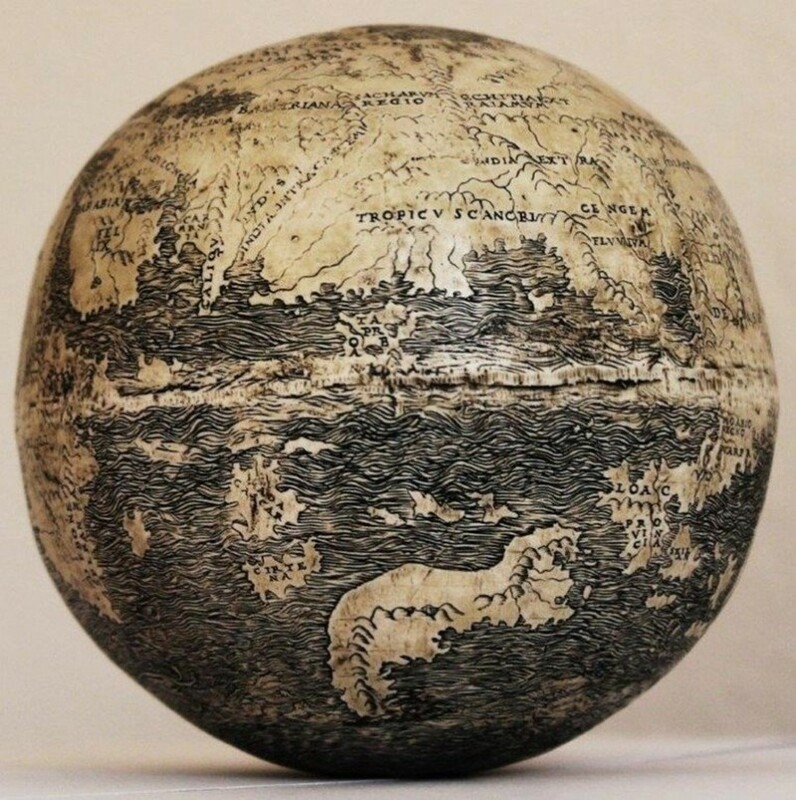 The globes featured at Catawiki’s upcoming auction are not quite that mature but not less interesting – how about this rare terrestrial globe from 1900? Created by the famous cartographer J. Lebègue, this globe would make a great addition to any collection with its classical wooden base. 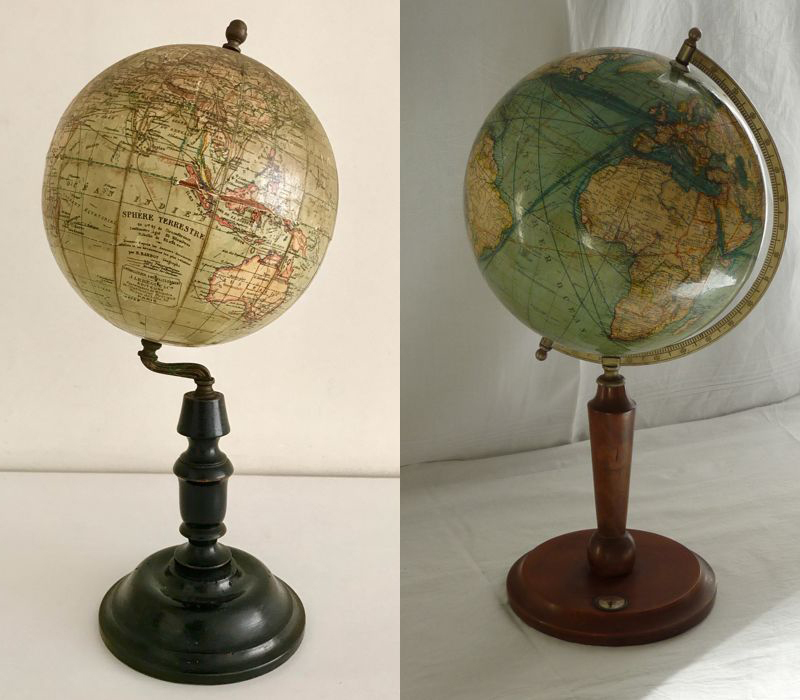 Left: Globe bycartographer J. Lebègue, 1900. Right: The 1920s globe by Adolf Mang. Photos: Catawiki. 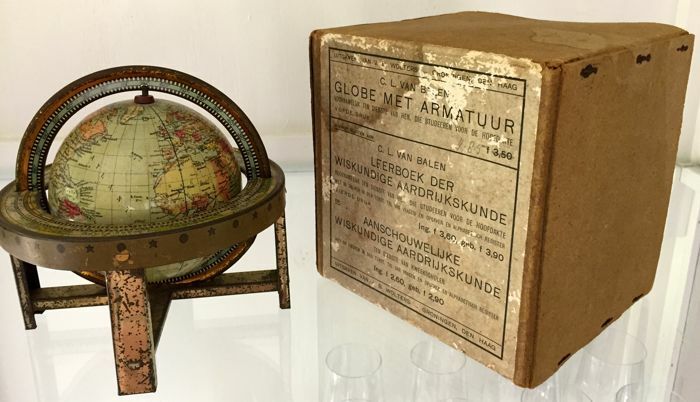 Catawiki also offers a very special terrestrial globe from the 1920s. Although it was created almost a century ago, the globe is in exceptional condition. Created in Germany by the prestigious globe maker Adolf Ad Mang, this model world offers great detail and information about the 1920’s raw materials as well as the world’s then shipping routes, rail and telegraph connections. Globe from 1915, with it's original case. Photo: Catawiki. This globe dates back to year 1915 and was created for training purposes, intended for geography teachers. The lucky buyer will also be able to lay his or her hands on the original case, which could be called a piece of history in itself. Catawiki’s “Globes” Auction ends June 11th. Register to bid at Catawiki here. As always, you’ll find Catawiki’s entire catalog at Barnebys!